Museum dedicated to art, science, and history. 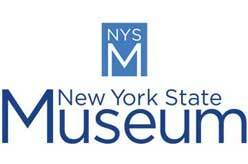 Established in 1836, New York State Museum is the oldest and largest state museum in the country. Located in Albany, New York, United States. Its collections rank among the finest in many fields and total more than 16 million scientific specimens and one million cultural objects. Tuesday – Sunday, 9:30 AM – 5 PM. Closed Independence Day, Thanksgiving, Christmas, and New Year’s Day. Suggested donation : $5 per individual and $10 per family. Visit New York’s “Statue of Liberty & Ellis Island” and 5 other attractions a savings of 40% or more with CityPASS. Shop Today!